violin Teacher Manikantan Offering Indian carnatic/Classical violin classes-private/Group/Home Tution/Skype for children and Adults in Singapore.To arrange classes in Singapore or Via Skype please contact at email-violinmanikantan@gmail.com Tel:(65) 97101124. 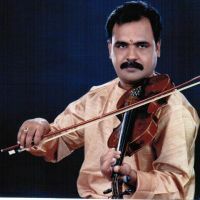 G.Manikantan comes from a renowned family of violinists, had his 'gurukulam' under Sri Amritha Bharathiyar and furthered his tutelage under 'stalwarts' like Ramanathapuram Sri M.N.Ganesa Pillai and karaikudi Sri M.S.Mani. As soloist, he has earned critical acclaim for his performances all over India and Singapore, and has toured many countries like Malaysia, Australia, Mauritius ,South Africa and Russia. A graded artist of All India radio, his virtuosity as a violinist has even been recommended several times by various eminent musicians. To his credit, Mani has performed not only as a soloist but also as an accompaniment for many well known vocalists & instrumentalist not only in India but also in Singapore and Malaysia for Karnatic and Fusion music, Chinese classical and also in major Orchestras. Composing music for the Indian arts scene, his sensitivity to playing ragas and skilful improvisations for kalpana swaras are his great assests. His remarkable talents in both vocal and violin has brought in different stages creativity and collaboration which adds depth and vitality to many performance. In recognition for his immense artistry, he was conferred with the title "Isai Gnana Jothi" in India and "Sangeetha Kala Nipuna" by Nrityalaya Aesthetic Society, Singapore.